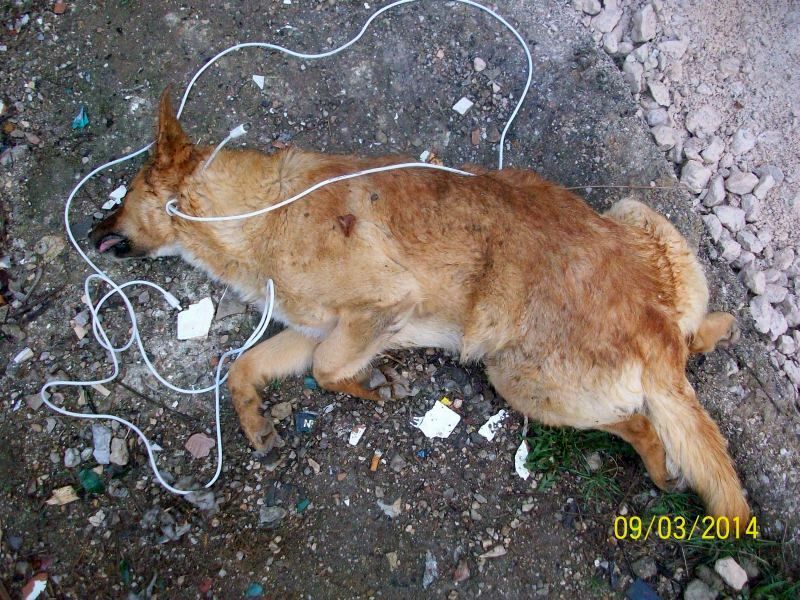 A dog was strangled to death with antenna cable in Slatina district of Sarajevo, reported today on Radiosarajevo.ba: New Atrocity Against Animals. 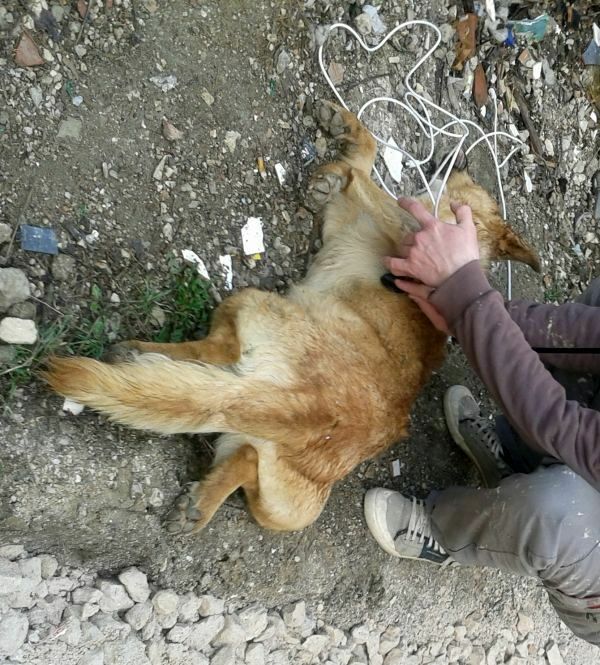 “Violence against animals is becoming more common throughout Bosnia Herzegovina, and the most recent case of torture and murder of animals took place in Sarajevo. 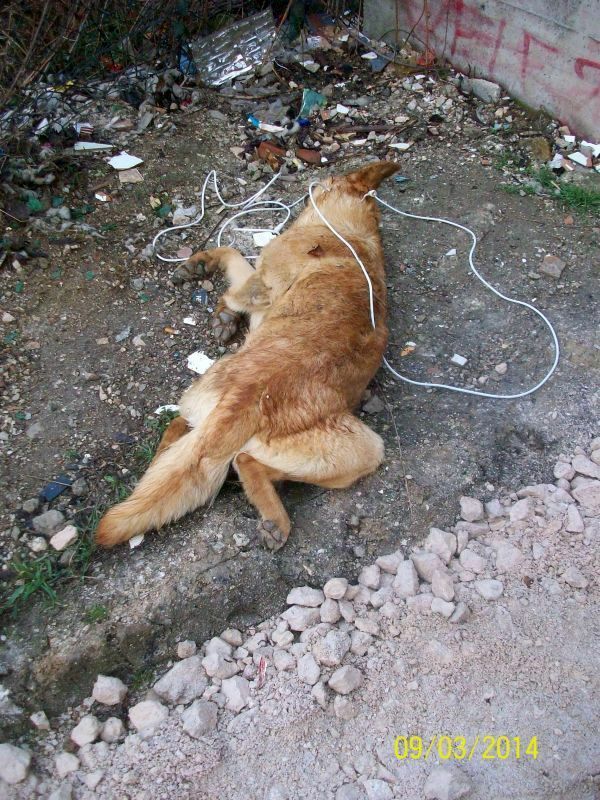 On Sunday, 9 March, a dog was found strangled by an antenna cable, by a dumpster in the area of Slatina municipality Centre, Sarajevo. The women who found the dog tried to find someone who could help. They called the vet, the police, the veterinary inspectors, inspectors for the protection and welfare of animals from the Veterinary Office. The most common answer to these calls was that Sunday was not a working day, and that they are not to be disturbed and no longer bother with reports of this kind…. 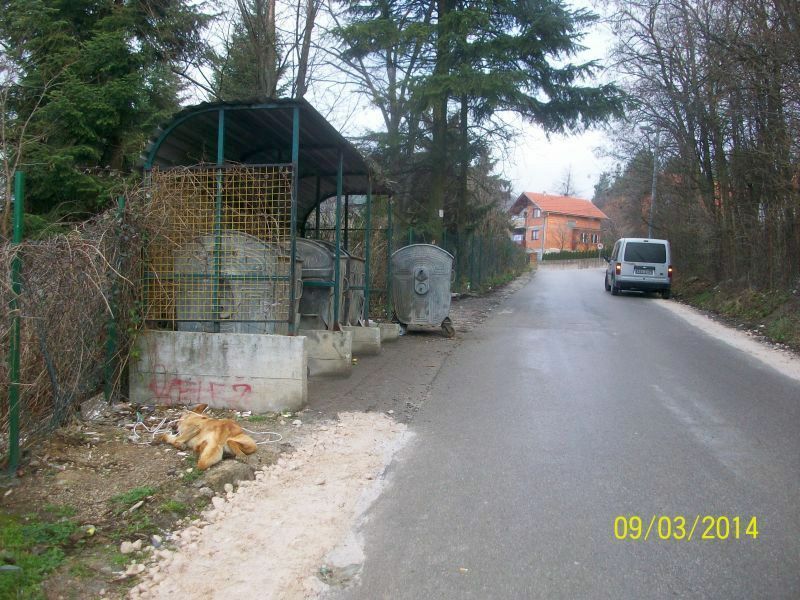 Then they approached the Sarajevo Cantonal inspection to order an autopsy of the dog’s body which they drove to the Veterinary Faculty in Sarajevo, to determine the cause and time of death in order to detect and punish the offender in accordance with the criminal law and the FBiH Law on Protection and Welfare of Bosnia and Herzegovina, where stray and abandoned dogs have the right to be free from torture and killing, and the right to legal protection. 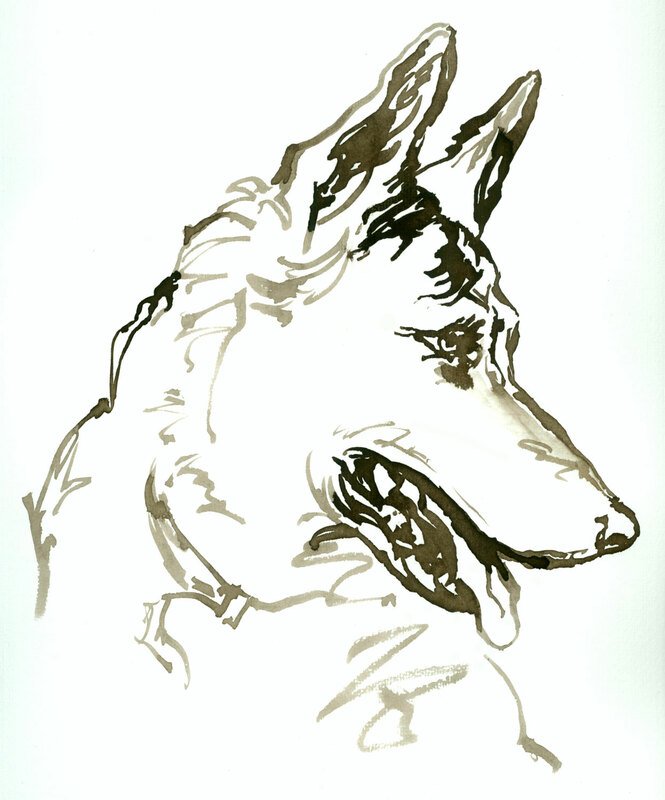 Rest in peace beautiful dog. May justice be served. NOTE: Those of you who have been monitoring the proposed amendments to the animal welfare laws in BiH, the next session of the House of Peoples is scheduled for March 12. Presumably they will vote on the amendments during this session. 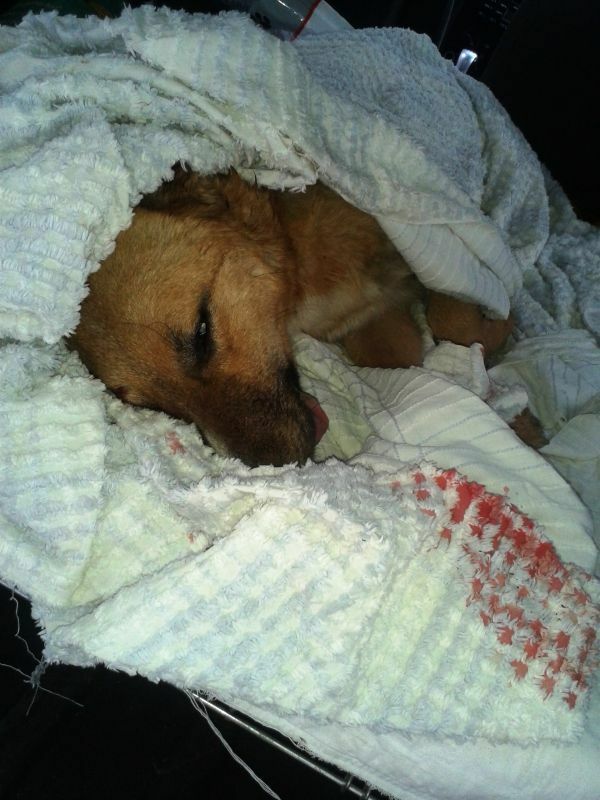 This entry was posted in Dog abuse, In Memory, News Articles and tagged dog murder by Sandra Jensen. Bookmark the permalink. Poor dear dog. How terribly sad that he will never know the love every dog deserves.